The Marzocco is one of the symbols of the city of Florence, or rather to be precise in the Florentine Republic was the symbol of the people’s power. This beautiful and totemic of sandstone statue was made by Donatello for the visit of Pope Martin V. Firenze Destined to decorate the staircases of the Papal apartments he was then moved to Piazza della Signoria. 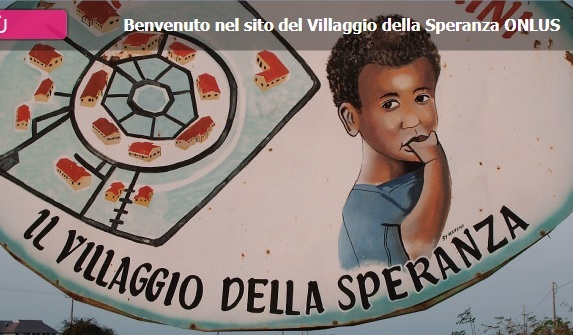 Today in Piazza Signoria has exposed a copy and the original is kept at the Bargello Museum. 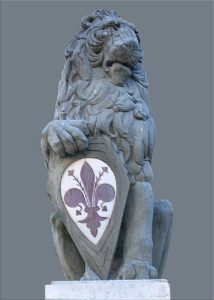 The reason he was chosen by Donatello to represent a proud lion with the paw under the symbol of Florence, the lily, was the fact that the Lions in Florence omaggiavano to William the Lion said (he had in his coat of arms a lion) that during the Florence administration had done a good job and that the Florentines were grateful. 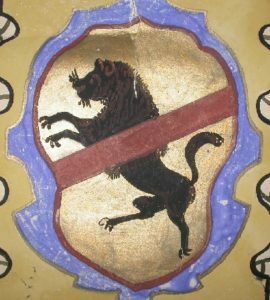 In fact, in Via dei Leoni (why the name) there was a menagerie with the lions. The same coat of arms of the families or groups shall animals and was considered a sign of power and wealth. The reason for the name is of uncertain marzocco etimiologia, perhaps derives from Mars because many believe that originally the city of Florence was dedicated to Mars.